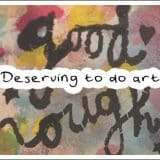 A while back in my search for ‘the perfect art journal’ I was asking around online for recommendations. The Stillman & Birn range was mentioned several times. I ordered one from the US and I couldn’t wait to try it out! I’ve been using it for about 5 months now (and it’s nearly full), so keep reading to find out what I think of it. It feels quite premium with a hard black cover that is slightly textured. It’s about A5 size (I have the 5.5×8.5″ one). Because of the size & sturdy cover it feels like something you could easily chuck in your handbag without the pages getting damaged. This has a sewn binding of several signatures. Between signatures there is sometimes quite a big gap. This can be annoying if you’re using those pages as a spread, as there will be a big gap between the left and the right page. The paper is heavyweight 270gsm hot pressed (smooth) watercolour paper. 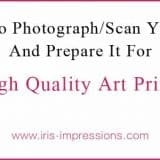 The website describes it as being suitable for Dry & Wet Media, Watercolor, Ink. To me, the paper is the singlemost important thing when buying (and rebuying) a journal. This paper really disappoints. The paper is very smooth but extremely weak. 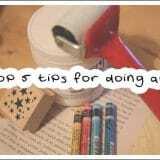 It pills easily when you go over it more than once or with a brush that is any firmer than a watercolour brush. This could be fixed by gessoing the pages first, but for me the whole reason for buying something with heavyweight HP paper is to not have to use gesso. Due to the problem with the paper the only thing I can use this journal for is watercolour, not mixed media as I intended. This is a US journal and easily available over there. In the UK it is stocked by some suppliers (try Jackson’s Art Supplies), but sometimes they are out of stock awaiting an overseas order. I had to wait about 1 month for mine. I paid £12 for this journal, which makes it comparable to the small Dylusions journal. It’s not super expensive but not cheap either. For this price I expect a good quality journal, but due to the problem with the paper I find this to be too expensive for what it is. It might be better value if you’re in the US. 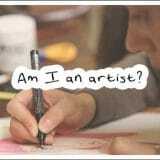 These journals are specifically marketed for mixed media, but I wasn’t able to make it work. Customer service from Stillman & Birn got in touch with me to give me some tips and help out, but I still wasn’t able to work in it in my own natural style. If you are looking for a watercolour-only journal then this might become your favourite journal. I personally hate being restricted to one medium, so I will not be buying this journal again. I might consider trying the Beta or Delta series instead (same paper weight, but cold press finish) to see if the paper stands up any better. 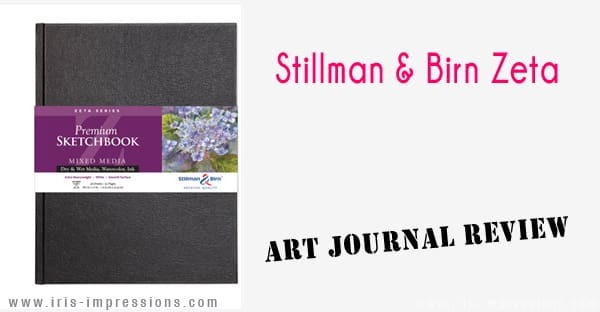 If you’ve used Stillman & Birn journals yourself and would like to share your opinion please do leave a comment below!